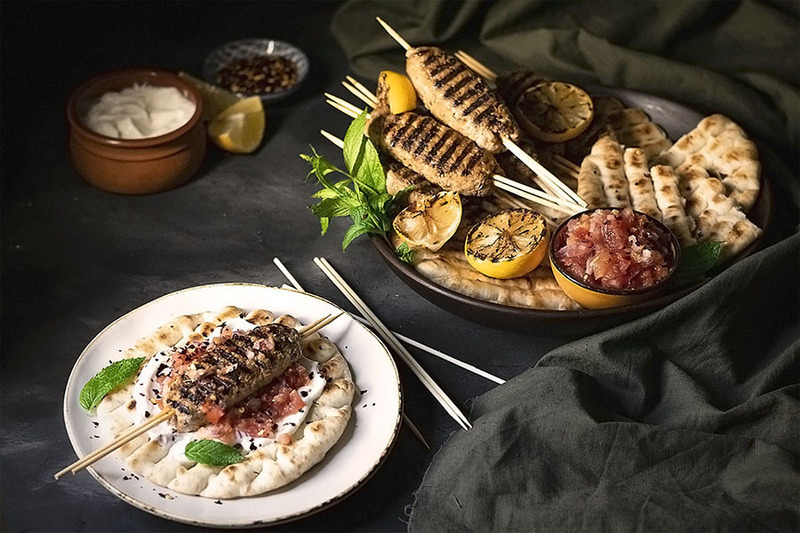 Get ready to wow your friends and family with these flavorful minty Greek lamb kofta kebabs which are served with lots of pita bread, thick yogurt, and a fresh tomato sauce. 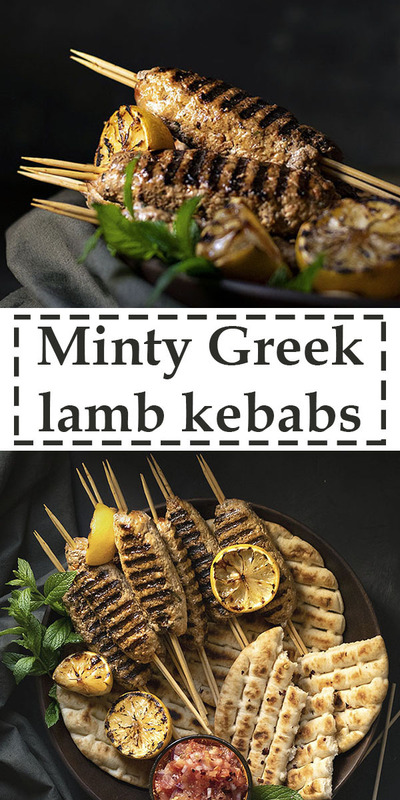 These minty Greek lamb (kofta) kebabs may be huge crowd pleasers and perfect for gatherings and small parties but that doesn’t mean you shouldn’t enjoy them for dinner with just your family! 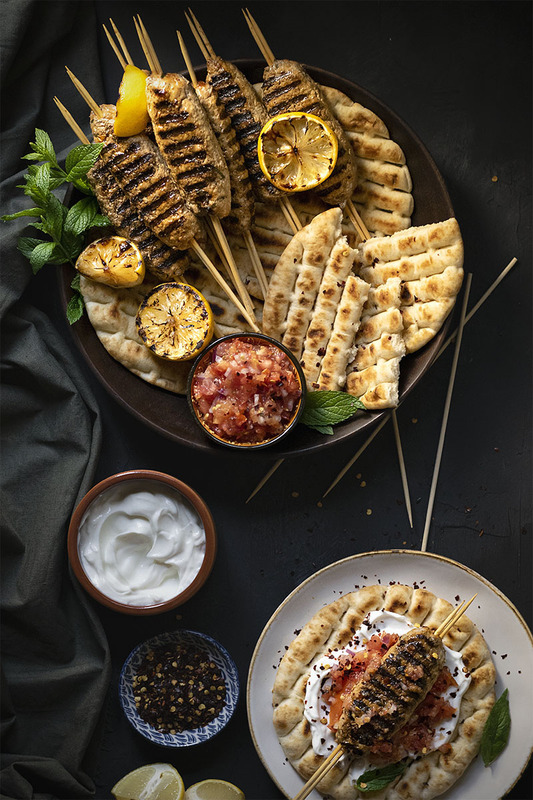 And of course, they’re best served with pita bread, thick Greek yogurt, and a fresh tomato sauce because all that sides freshen up the kebabs and help to cut down the heat, especially if you make them extra spicy. 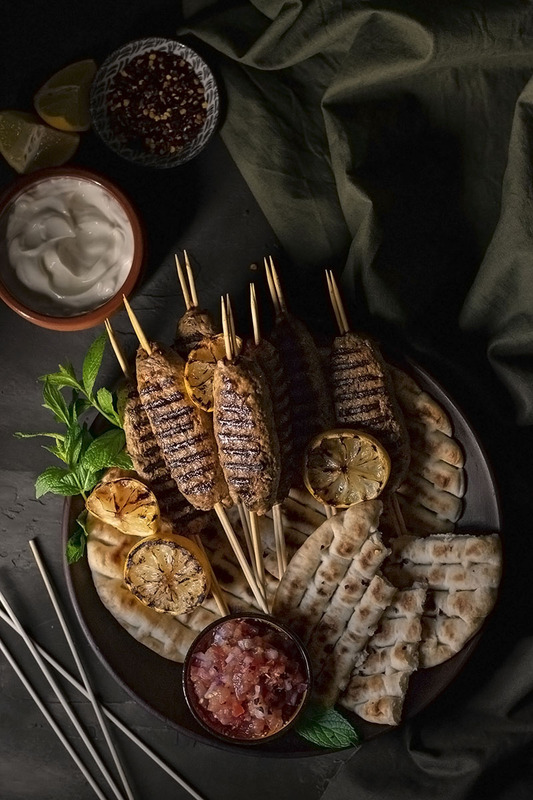 For this recipe to work best, the kebabs must be in contact with a hot surface while cooking which means that a griddle or a bbq is their best friend! If you absolutely have to, you can bake them in the oven, but they’ll lack that extra smokiness that makes them extra special. Most people, when they hear about Greece, immediately think about Gyros or Souvlaki. But Greece should not be known only for its Souvlaki! There are a lot of other great dishes worthy of global recognition like this Fava, a traditional yellow split pea puree, or this Psarosoupa, a greek fish soup with potatoes and vegetables. And of course lets not forget this one-pan meatloaf with hard-boiled eggs baked with some potatoes for a complete and delicious dinner! However, there’s something about food on a stick that makes it so appetizing that I’ve even served some olive oil baklava fingers on skewers. 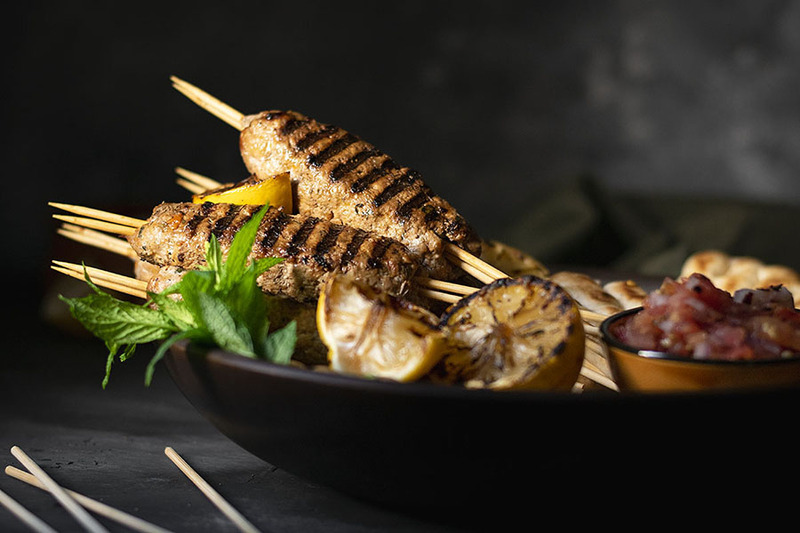 These lamb kebabs are also served on a stick, but you can also make them like regular burgers since they’ll taste just as good (though they’ll be less fun 🙂 ). The fat from the lamb and some olive oil help these kebabs stay juicy and tender. Also, a grated tomato and an onion, provide except flavor, extra moisture to the mixture. Most Greek recipes use a mixture of minced beef and lamb meat to make kebabs and that’s what I also use because the final dish is more balanced without any overwhelming taste from the lamb. If you totally love lamb then you can use only lamb and if you totally hate lamb, then you can substitute it with pork or use all-beef. If you use all-beef, add a couple extra tablespoons of olive oil (or butter), because beef is leaner than lamb. Mix very well and for a long time using your hands. A thorough mixing will break down the fibers of the meat and will make the kebabs more tender. 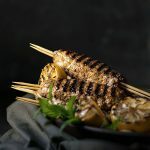 It will also help the moisture from the onion and the tomato to be absorbed by the meat, and will also make it more connective and stick on the skewers much better. Use two skewers for each kebab. This helps the meat to stay on the skewers and not fall apart. Don’t move the kebabs before they’re fully cooked because the meat will stick on the cooking surface. This recipe uses half minced beef and half lamb. You can adjust the proportions to your liking, as long as the total weight of the meat remains the same. The onion, the tomato, and the olive oil provide extra moisture and some healthy fat, making sure these kebabs stay juicy and tender. You can increase the mint for a stronger mint flavor. For easier shaping, wet your hands with wine (extra flavor) or water. Soak the wooden skewers in water if you cook the kebabs over charcoals to prevent them from burning. Don’t use the skewers for handling the kebabs when they’re still uncooked, because they’ll fall apart. Transfer all the ingredients for the lamb kebabs to a large bowl and knead with your hands for 5 minutes until everything is well mixed and tender. Let the mixture rest in the fridge for at least 1 hour to firm up (you can also leave it overnight). Wet your hands with some wine, take approximately half a cup of the mixture, and shape it into a cylinder like a sausage. Pierce with 2 skewers and transfer to a large plate. Continue with the rest of the kebabs. Heat a griddle or a griddle pan over medium/high heat. Lightly brush it with some olive oil and cook the kebabs for about 4minutes each side, or until well browned (cooking time will depend on the temperature of the griddle and the thickness of the kebabs). Serve with pita bread, strained Greek yogurt and fresh tomato sauce. For the fresh tomato sauce: Finely chop 2 medium tomatoes and 1 medium red onion. Strain the mixure for 5 minutes through a strainer and transfer to a bowl. Mix with 1 teaspoon dried oregano, 1 tablespoon olive oil and a pinch of salt. Serve. 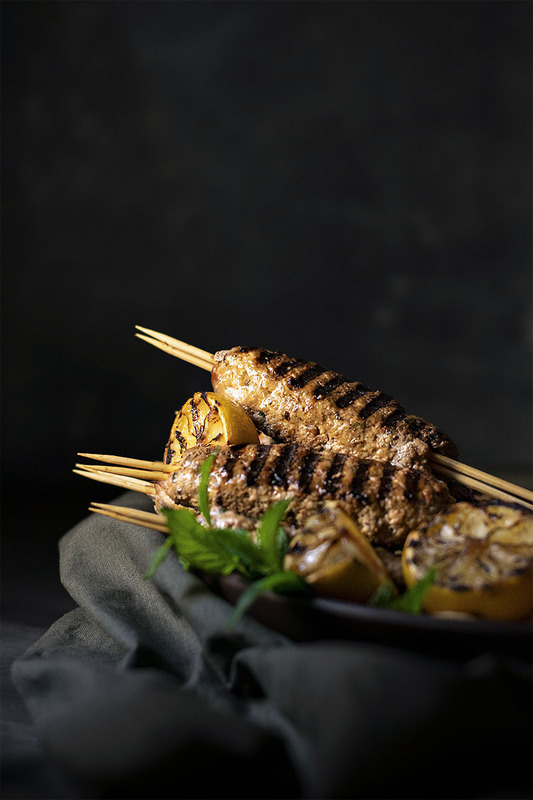 These lamb kofta kebab looks divine!I can only imagine how wonderful this entire dish tastes! 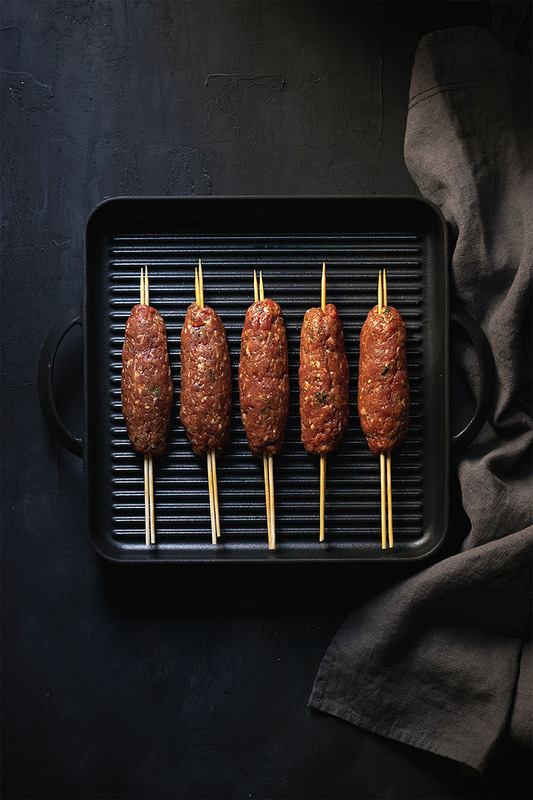 Hey Makos…am a big fan of kababs and this looks soo delicious & more yummy, i will definitely make this kababs…and this is perfect for get-together, some small parties….Thanks for sharing & keep shared your new amazing recipes……!